The New Jersey Assembly recently passed a bill that would allow firefighters with a pre-existing volunteer relationship with their employer to retire from service covered by the Employees’ Retirement System (PERS) or the Police and Firemen’s Retirement System (PFRS) and continue to serve that employer as a volunteer. If the employer and employee make an arrangement prior to the employee’s retirement to return to the same employer in any capacity, including as a volunteer – at any future time, regardless whether the position is covered by the former retirement system – the employer/employee relationship is not completely severed and the retirement will be invalid. 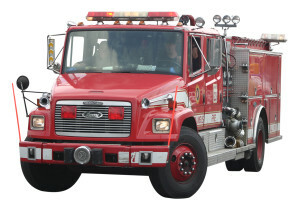 In light of the guidance, volunteer firefighters have been forced to resign their unpaid positions in order to receive their retirement benefits. Assembly Bill 1627 seeks to address the issue by allowing persons with a pre-existing volunteer relationship as a firefighter, first aid worker, rescue squad worker, or emergency medical technician with their employer to retire from service covered by PERS or PFRS and continue to serve that employer as a volunteer. Under the bill, the retirement of a member of PERS or PFRS, who: (1) on the date of retirement has attained the service retirement age applicable to that member and is a volunteer firefighter, first aid worker, rescue squad worker, or emergency medical technician with the same employer from whose employment the member retires; and (2) remains a volunteer firefighter, first aid worker, rescue squad worker, or emergency medical technician after retirement, will be considered a bona fide severance from employment. The bill further provides that it will only be effective if the qualified status of PERS and PFRS under federal law can be maintained upon its application. Accordingly, it directs Division of Pensions and Benefits in the Department of the Treasuryto make modifications to the system to allow for the bill’s application while maintaining the qualified status of the plans.Notably, Assembly Bill 1627 does prohibit paid firefighters employed by part-paid fire departments which utilize both career and volunteer firefighters from volunteering with the department from which they retired. The state Assembly unanimously passed the bill on April 12, 2018. We will continue to track its progress and post updates as they become available. For more information about the proposed billor the legal issues involved, we encourage you to contact a member of Scarinci Hollenbeck’s Government Law Group.